Chalet Ingrid, La Plagne is a beautifully appointed ski chalet, tastefully furnished throughout. The split-level ground floor provides an elevated lounge level with comfortable seating and a log burning stove, creating a warm and cosy area to relax and socialise. The lounge and dining area are open plan with large French windows all round creating a light and airy living space with great panoramic views. The dining area opens onto a terrace – affording great vistas across the valley from La Plagne 1800 – and along with the chalet's private garden, offers a great outdoor area for guests to enjoy. Although Chalet Ingrid does not have en-suite facilities it has a spacious bathroom on the ground floor with a bath, walk-in shower and two sinks and there is another shower upstairs. Chalet Ingrid offers touches of real comfort in its electric boot warmers and of course its sauna (with its own shower) for really unwinding those muscles at the end of the day. The chalet is ideally suited to families and smaller groups.Chalet Ingrid is set amongst the trees at the top of La Plagne 1800. 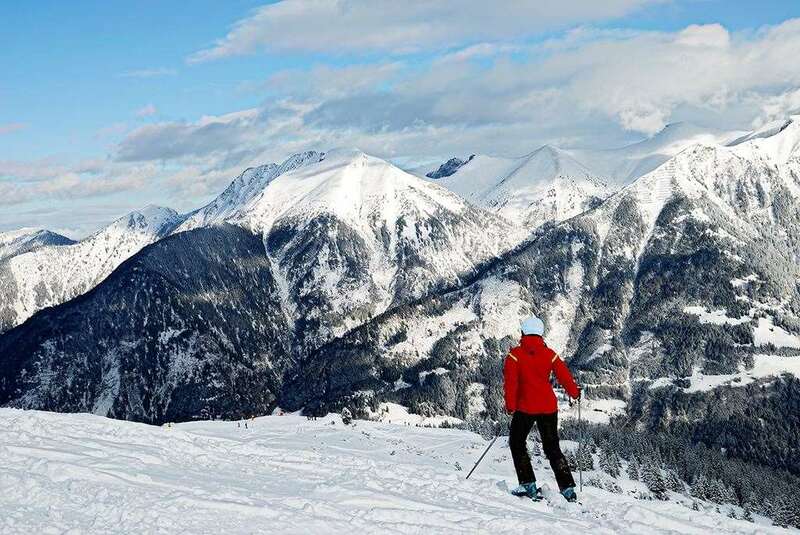 It is a 5 minute walk to the village centre and the nearest chairlift is 380m away. The bus operates from the top of the steps leading to the chalet to take you the 2 minute ride to La Plagne Centre for skiing. Meanwhile the regular local bus service gives guests convenient direct access to Plagne Bellecôte, the departure point for the Bellecôte glacier, and to the 1800 village centre for those who prefer not to walk. The Chalet Ingrid host lives on the lower floor (separate entrance). All rooms can take a cot except room 3. If booking the whole of Chalet Ingrid, an additional child's bed can be put in room 1 or 2.